There’s a new fire house in our little town. It’s located right beside the business that Motor Man and I own. Early Saturday morning, preparations were in place for the Open House taking place that afternoon. I took this picture from our property; I’m thinking there are worse neighbors to have than firefighters. Later in the day, town residents came out to tour the new building. 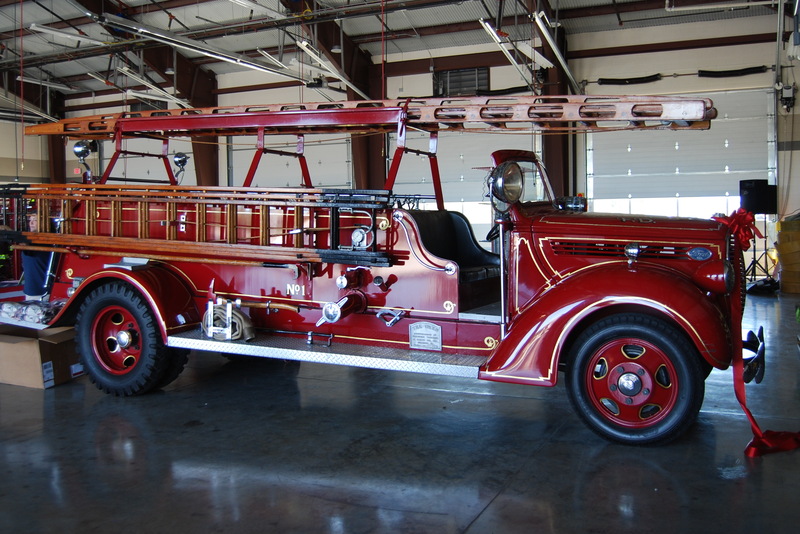 On display inside is the town’s first gasoline fire truck. Back in the 1970’s, Motor Man’s dad rebuilt the engine. He was working at Motor Man’s machine shop at the time. 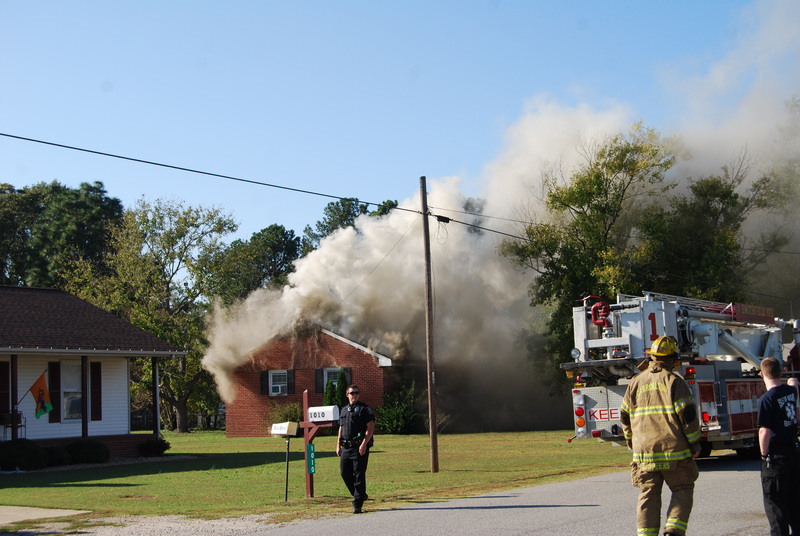 Sadly, yesterday, the fire department was called to this house fire less than a mile from the new station. There were no injuries, but I can’t help thinking of the material possessions lost by the homeowners. 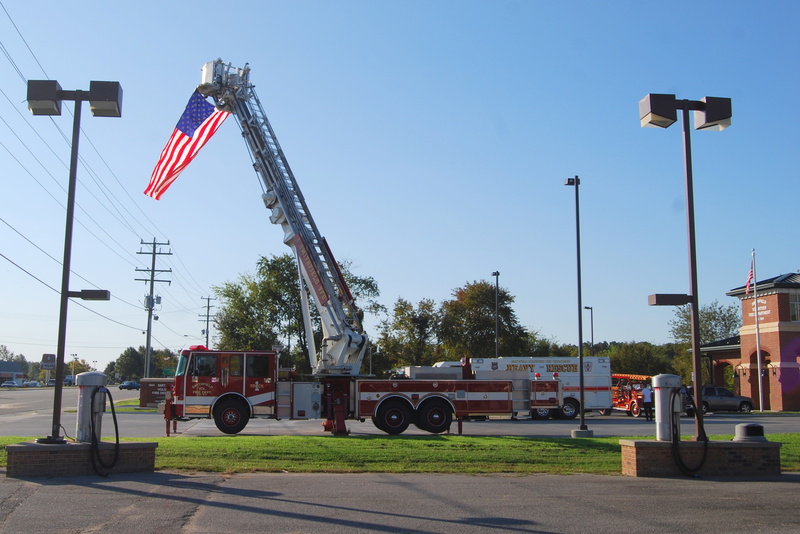 I’m hoping that because of the fire station’s new location, maybe the response was quicker, and the losses less than they would have otherwise been. Those homeowners are probably thankful for the new neighbors too.